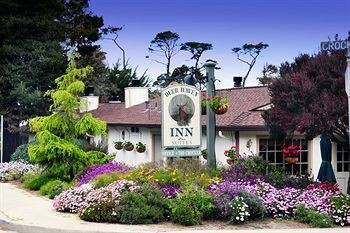 Property Location With a stay at Deer Haven Inn in Pacific Grove, you&apos;ll be convenient to Asilomar State Beach and Monterey Bay Aquarium. This motel is within close proximity of Monarch Grove Butterfly Sanctuary and Jameson&apos;s Classic Motorcycle Museum.Rooms Treat yourself to a stay in one of the 26 guestrooms, featuring fireplaces. Your room comes with a pillowtop bed. Complimentary wireless Internet access keeps you connected, and cable programming is available for your entertainment. Conveniences include desks and refrigerators, as well as phones with free local calls.Rec, Spa, Premium Amenities Make use of convenient amenities, which include complimentary wireless Internet access and concierge services.Dining A complimentary continental breakfast is included.Business, Other Amenities The front desk is staffed during limited hours. Free self parking is available onsite.